This post is linked to Wordless Wednesday. A few months ago, I found this recipe for homemade hamburger buns. Since then, I’ve made them three times. My fourth attempt is currently in the bread machine. If I could describe them in one word, it would be delicious. After I make them, I wrap each one in foil and then place about five in a gallon size ziplock freezer bag. Then I place them in the freezer. When I want to use one or two, I pull them out of the freezer, unwrap them, and defrost them in the microwave. My favorite sandwich that I make with them is a chicken patty, muenster cheese, and a tiny bit of olive oil based mayo. Yum! On Saturday morning, we decided to go to the St. Louis Zoo. It’s free to the public; however, some of the exhibits cost money. Between eight and nine o’clock, visitors can visit certain exhibits for free. We went rode the Conservation Carousel and petted the sting rays during that hour. We loved the zoo and probably would have stayed longer if it wasn’t so hot (90 plus degrees). By the time we left, the heat was beginning to become unbearable. I was drinking liquids like crazy because I was so hot. These pictures are the best of the pictures that were taken at the St. Louis Zoo. 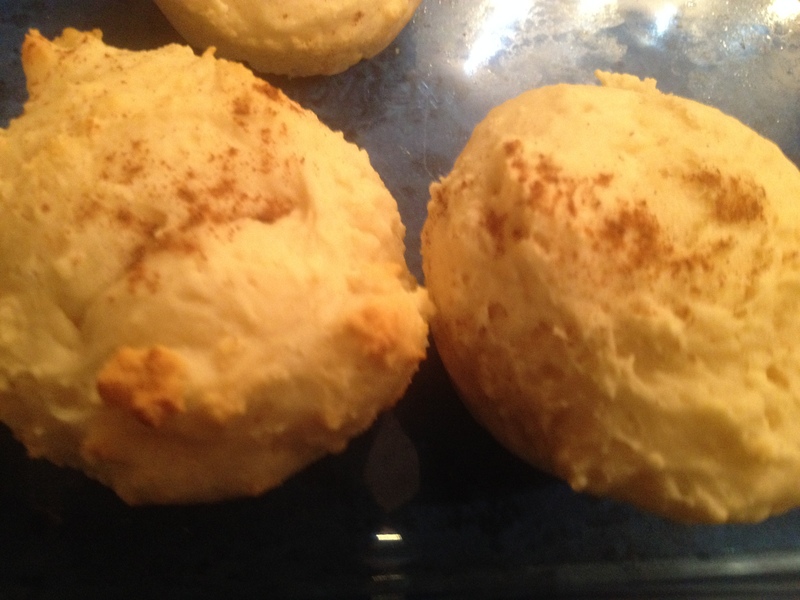 A while ago, I was looking for a recipe for biscuits or rolls on Paula Deen’s website. I found this recipe for Easy Rolls. They looked easy so I decided to try them. Once I tried them once, I was hooked. They have a slightly sweet taste and are so tender. The Imaginative one tasted one and his response was “M-M-M.” After you try them, I’m sure you will say the same thing. Bake in slightly greased (I use a cooking spray.) muffin tins for 12 to 15 minutes or until brown. This recipe makes 12 rolls. 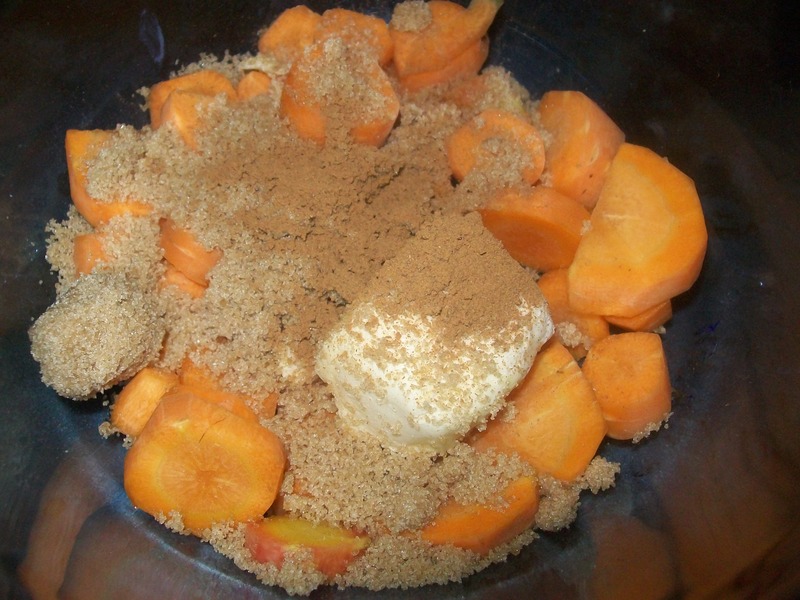 This recipe is linked up to Mommy’s Kitchen for Potluck Sunday. This weekend, hubby and I went on a weekend away without the boys. Our destination was St. Louis. He had driven through the city many times when he went on his super trips with the Explorer Post (Boy Scouts). They would go on long trips to places like Yellowstone National Park. They never stopped so he was fasinated with the Arch. Me on the other hand had only been the Arch once in my entire life and that was almost 25 years ago. I had flown out to Colorado to visit my aunt. We then drove home and went past the Arch. I fell asleep soon seeing it. Here are some pictures of the Arch, inside it, and then the view from it. Enjoy! My Great Uncle Lew was an artist. 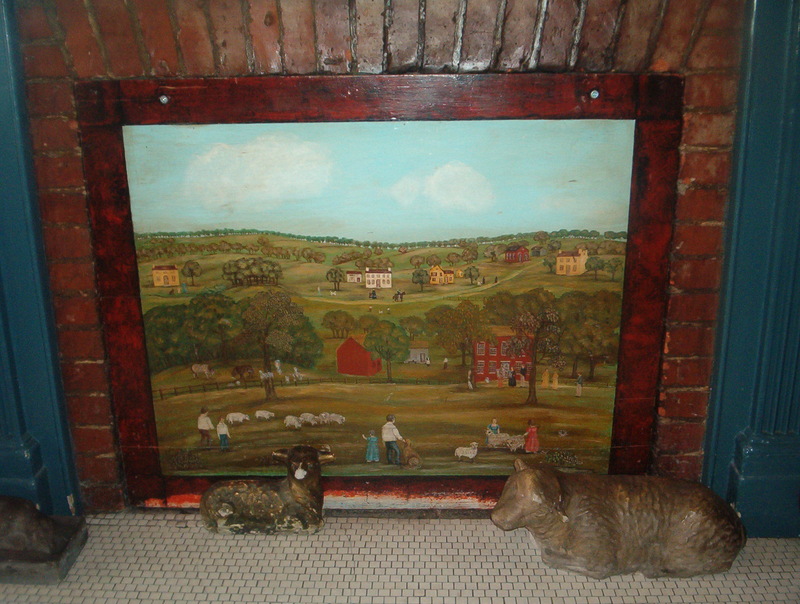 In the 1970’s, he painted some pictures for a local tavern/hotel. When I went there in 2004, I took a picture of the painting. This post is linked up with Wordless Wednesday at And Miles to Go Before I Sleep. On Thursday of last week, the Imaginative One and I ventured to a local fruit/vegetable stand for their delicious corn on the cob. While there, I got some fresh green beans so I changed up my menu for the next day. Instead of making the quick pork lo mein, I opted to make green beans, potatoes, and ham which was something my grandma made often. It’s budget friendly and easy which are two positives. I’m moving the quick pork lo mein to this week’s menu. Later on in the week, my hubby and I are going on a long awaited trip to St. Louis. We haven’t gone on a vacation by ourselves for nine years. So I don’t need to plan for much this week. 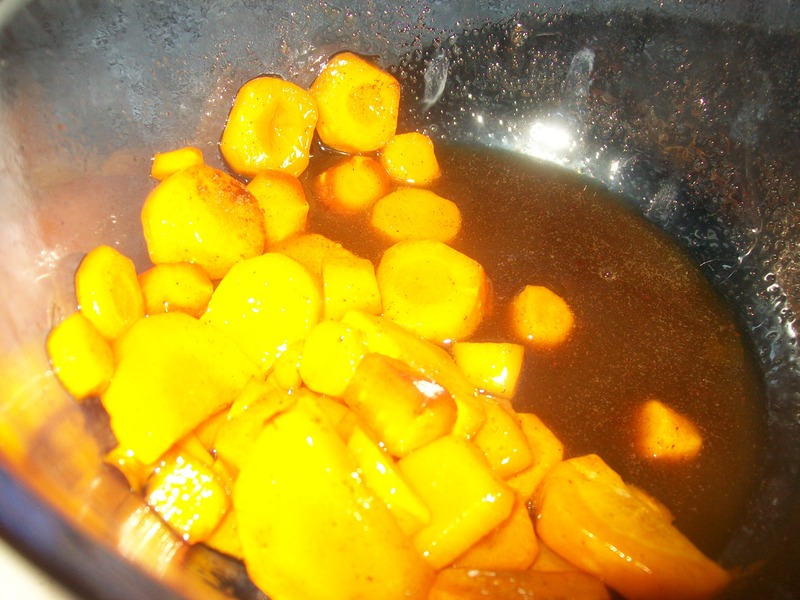 peeled and diced potatoes – I used four potatoes when I made mine. You can use more or less. Put the potatoes, green beans, and ham in the crockpot. Reese’s Peanut Butter Cookies – I found this great recipe on Mommy’s Kitchen blog. I decided that this would be great to take along on my road trip. That is if they last until Friday! What is on your menu for the upcoming week? 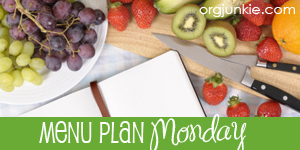 For more great menu plans, please visit I’m an Organizing Junkie for Menu Plan Monday! Have a great week.